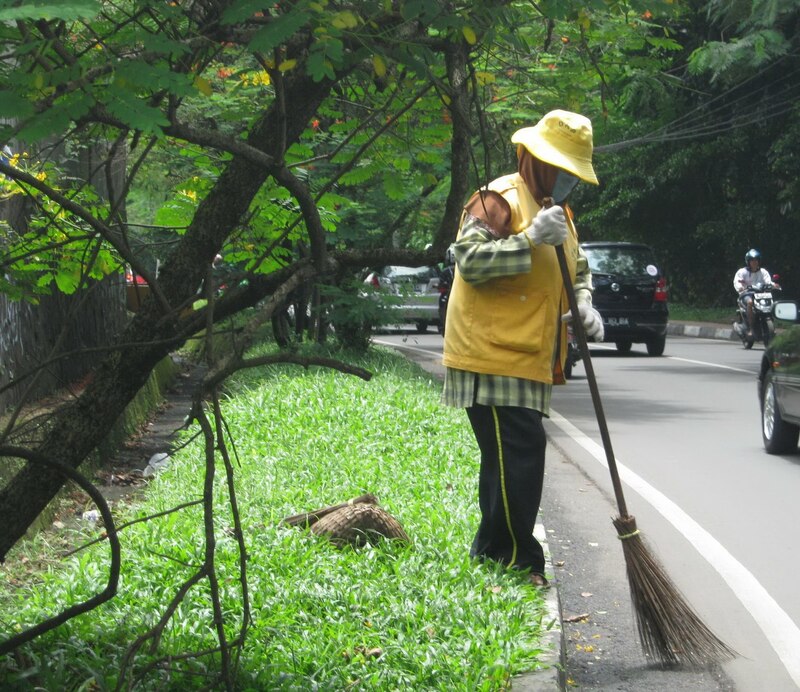 I’d like to say ‘thank you’ to all women who work hard every day to keep clean the street in my city (Bogor, West Java, Indonesia). 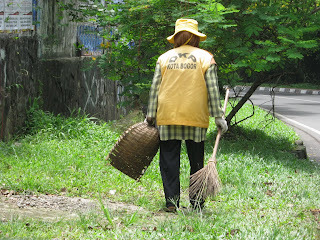 Perhaps the woman thinks that this job is only to get earnings for her family; but for me, she has done a noble job. We should help her with not littering the street. But unfortunately, I still see many people are doing the opposite.